Reduces the nasal congestion due to increased nasal blood flow associated with cold and influenza. Provides prompt relief of itchy watery eyes, runny nose, sneezing,itching of the nose or throat due to respiratory allergies. 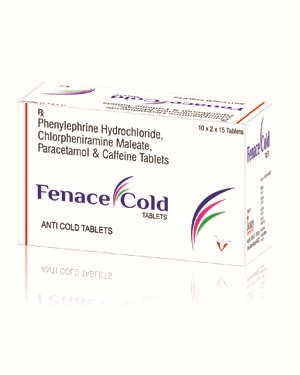 Enhances the analgesic activity of Paracetamol and reduces incidence of sedation due to Chlorpheniramine maleate. Time trusted anlagesic and antipyretic reduces fever and relieves headache,muscle and joint aches and pain.